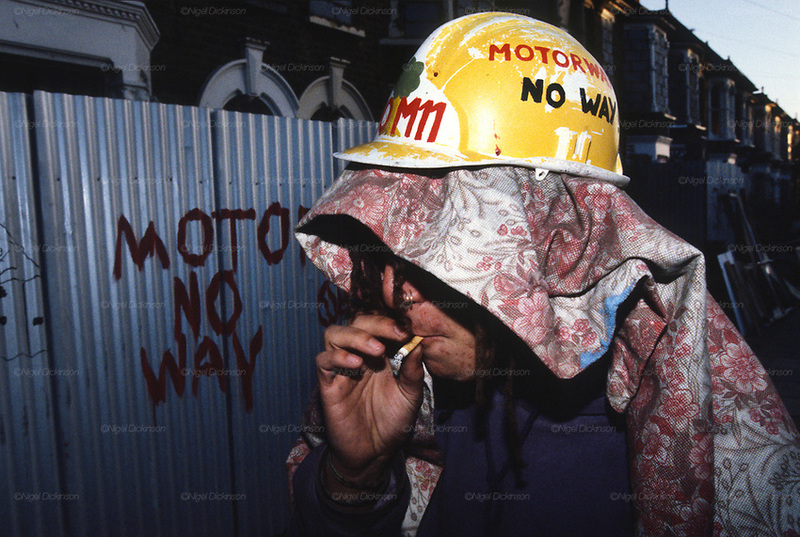 Protester smoking a cigarette at night with 'No Motorway' graffiti. Near to Road protestor squats indoors. Along the M11 route. Cambridge Park Wanstead, Leytonstone, London.